Record Breaking Beachwatch at Lunderston Bay. An amazing 87 volunteers collected 37 bags of rubbish on the first Beachwatch of the year. 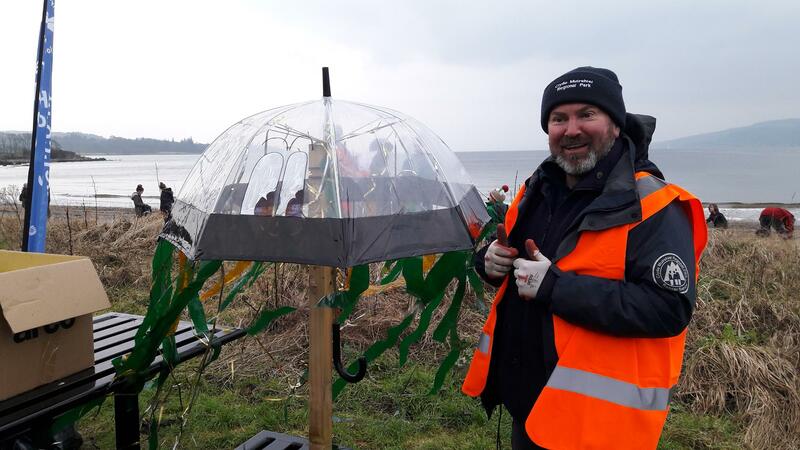 The Regional Park would like to say a huge thank you to the 87 volunteers who came down to clear 37 bags of rubbish, amounting to 77kg, at our Beachwatch event at Lunderston Bay. Most of the litter was plastic and the results will be passed on to the Marine Conservation Society to help identify national threats. If you would like to join us at the next one, we’d love to see you there – put Saturday 28th April in your diary! 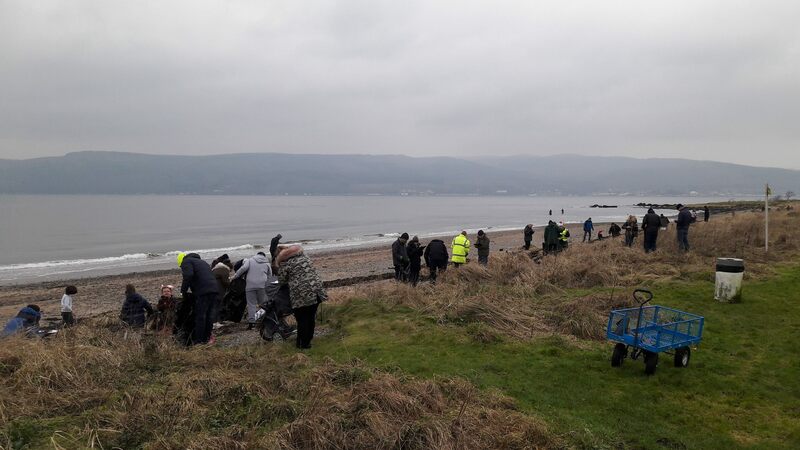 In the mean time keep voting for our project at Tesco Greenock and Port Glasgow stores so we can have more equipment to help clean this popular local beauty spot.